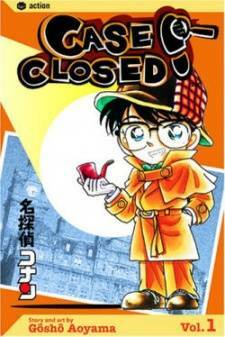 Scenario: Kogoro, Ran, and Conan are out for a walk when a robbery occurs. Conan and Kogoro apprehend the robber. A crowd gathers to watch and Kogoro sees his old friend Jamie in the crowd. They talk about the Judo class reunion that is to take place later that day and she leaves. The police arrive to take the robber away and ask for the gun. Conan and RKogoro realize the gun that the robber dropped is missing. At the reunion that evening the Judo club plan to go out and watch the fireworks. 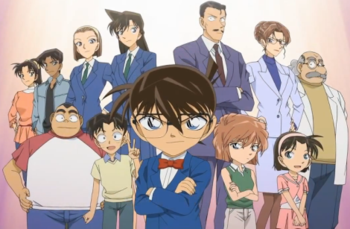 Kogoro, Ran, and Conan are the only ones who attend the fireworks. At dinner, the Judo club members decide to wake Jamie up from her nap. When they enter her room, she is holding the robber's gun and has a gunshot wound to her head. Kogoro sees no burn marks on Jamie's wound and realizes meaning that it was a murder and a member of the Judo is the suspect.